We recently took a look at 5 of the best naked bikes currently available in the middleweight category but I understand those bikes aren't the most accessible machines on the market. If you saw a bike you love in the previous blog, but perhaps don't have the budget or the experience yet to ride it, never fear - the lightweight category has also seen an explosion in recent years with huge strides in quality and performance. 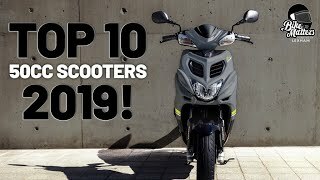 It would be tempting to call this blog 'top 5 new rider friendly nakeds' and while each of these bikes are exactly that - all can be ridden on an A2 licence, the fun factor of these machines can't be overlooked. With looks and performance creeping ever closer to their larger counterparts even experienced riders can jump on one of these and have a great time. Following on from the huge success of the MT-09 and MT-07 models, Yamaha redesigned the MT-03 to be more in step with those larger street machines back in 2016. It's a design philosophy that has now spread across the board as manufacturers realised there was a whole untapped market out there - riders looking for lower capacity bikes they can be proud of. The MT-03 fits that description perfectly. As Yamaha put it, it's an A2 licence class model which retains the 'dynamic MT DNA'. It has that muscular MT look and even comes in the same Night Fluo colour scheme as the MT-09. The wide bars and slightly forward riding position give it an aggressive motard feel which all adds to the bike's MT fun factor. 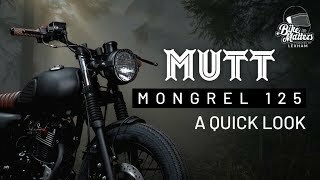 Powered by a 321cc, parallel twin cylinder engine the bike is (as the title of this blog should tell you) light weight and nimble with enough power and torque to make a fantastic commuter which can handle almost anything you can throw at it. As with most bikes in this category the MT is light on modern rider aids, with ABS as it's only concession. This could be a bonus to some people who want a more natural riding experience, and it helps keep the budget low with the MT-03 priced at just £4,999 brand new. The 390 Duke has been around since 2013 but after a huge update last year the current model has become one of the most formidable A2 bikes in existence. The styling is in line with KTM's other Duke models with a design very similar to the Super Duke R, as a result the 390 looks fantastic and gives a great option for beginners who want to work their way up to the beast further down the line. As I said in the introduction however, this bike is not just for beginners, I've seen a lot of experienced riders come away singing the 390 Duke's praises too. With a slightly forward focused riding position for KTM's trademark motard feel, a lightweight steel trellis frame gives the bike a dry weight of just 149 kg creating one of the best power to weight ratio in the class with its 373cc 44bhp engine. Add to that ride by wire and a slipper clutch and the fun factor is high. Unusual for an A2 bike the 390 Duke comes with plenty of high tech features including a full colour TFT screen which can be connected to a smart phone, ABS and even an additional rider mode. Manufactured in India, KTM have managed to get the price of the 390 Duke down to only £4,699 which is an absolute steal. Previous KTM's have been criticised for their reliability but with a host of quality improvements in the current model these issues should be remedied but only time will tell. Kawasaki had a big shake up of their super-naked range last year with a bunch of new A2 friendly options being added including the new Z650 and even an A2 version of the Z900. I'm focusing on lightweight motorcycles here so we're going to look at the lightest bike in Kawasaki's range the Z250SL. 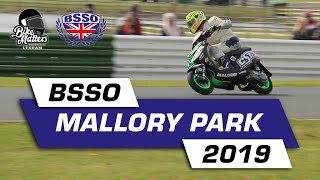 The smallest bike on this list is powered by a 249cc engine with a 20.6 kW output, but at just 148 kg with a full tank of petrol, it's capable of 90mph top speeds and able to deal with any type of UK road just fine. Where it really shines though is urban commuting, it's streamlined size and agile handling are combined with some great low rev pull to make a bike perfect for cutting through traffic. The Z250SL takes the same philosophy as some of Kawasaki's other Z series bikes when it comes to rider aids - there aren't any. It's just a good old fashioned motorcycle, well built, sturdy and reliable and that in its self will appeal to some. When you put everything together you end up with a great budget bike priced at just £3,649, capable of 77mpg fuel economy and with reasonable insurance costs. Husqvarna surprised a lot of people earlier this year with their new Vitpilen and Svartpilen range producing some of the most unique bikes on the market. We're going to look at the Svartpilen 401 here, if you want to find out more about the full range, Sean recently got to test ride all three, the Svartpilen 401, Vitpilen 401 and the Vitpilen 701. The Svartpilen shares a lot of components with the KTM 390 Duke including the torquey 373cc single that powers it - which is a great starting point. What really sets it apart however is its unique design, combining vintage styling with modern street aesthetics to create something altogether new. In fact, I would say this bike is something of a fashion statement but whether you like or dislike that statement is down to personal taste. Personally, I'm a fan of both vintage and modern style nakeds so fusing the two can't go wrong. The reason I've talked about the looks of the Svartpilen 401 more than some of the other bikes is because that is clearly the key selling point here. The price of the Husqvarna is the highest on the list at £5,599 and although it boasts a lot of great features including WP suspension, ride by wire, Bosch ABS and a slipper clutch, some of the other models here are all packing similar loadouts for a lot less money. It all comes down to the look and feel of the bike and if you are willing to pay a bit extra for it. In the modern age of credit agreements perhaps the price isn't as big a deal as it once was, it will be interesting to see how this bike performs in the UK. Promoted as Honda's ideal 'first big bike', the CB300R Neo Sports Cafe is the newest entry in the lightweight naked category having arrived in UK showrooms last month. Aimed as the perfect stepping up point from a 125cc the CB300R is the lightest bike on this list and fits somewhere between the Kawasaki Z250SL and the MT-03 in terms of spec and performance. The CB300R contains a 286cc single cylinder engine with a 31bhp power output, one of the smaller engines on the list but it's low weight of just 143 kg with a full tank remedies that slightly, ensuring Honda still achieves the aim of this machine which is to provide a good introduction to big bike performance. It will comfortably cruise at 75mph speeds with agile handling and decent acceleration. It also looks the part with its muscular retro styling and black and chrome colour scheme. Features wise, Honda have kept it minimal although unlike the Z250 it does feature ABS with an IMU (Inertial Measurement Unit) that provides balanced breaking between the front and rear for a smoother feel. The decision to offer a stripped down ride has meant a stripped down price of £4429 making it another stylish option for new riders and folks on a budget.